A friend suggested Cantine in Broadview Heights for happy hour last week. I hadn't been, didn't look it up in advance, and boy was I surprised at what we found once I was there. 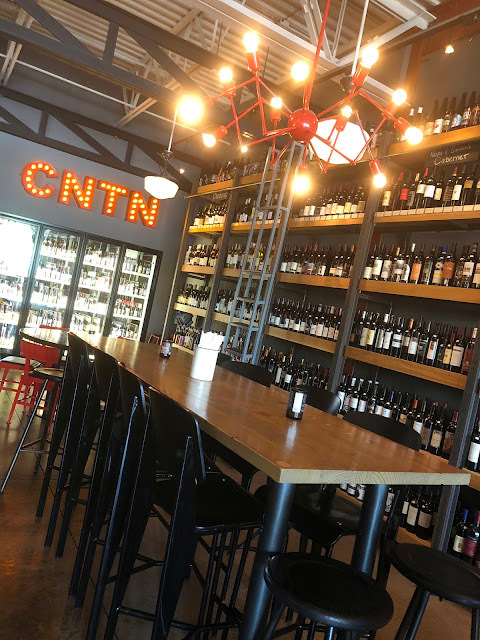 I think I was under the impression that it was a Mexican restaurant, but this elevated New American tapas spot offers a great selection of small plates and floor-to-ceiling wine and craft beer sales. It has an impressive amount of bottle sale options, which you can take home or enjoy there for a small corkage fee. They have an extensive bar inside and a handful of low and high tables indoors, in addition to patio seating out front. It was a perfect evening to sit outside, so we settled in with some glasses of wine and ordered a few small things to share. 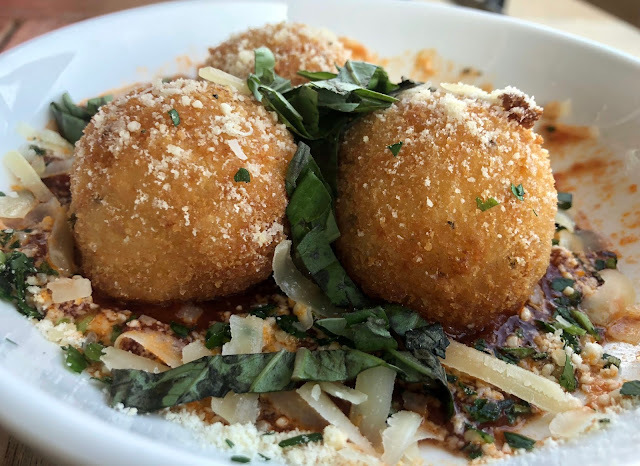 Starting with the Arancini di Riso ($8) with bread crumb crusted risotto balls stuffed with mozzarella di bufala campana, with tomato sauce and shaved parmigiana reggiano. 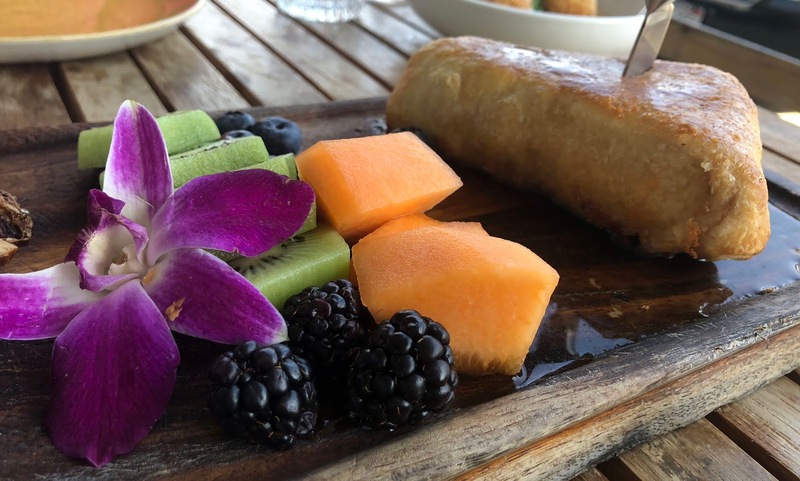 We also shared the Baked Brie ($12) with Puff pastry, fresh fruit, brandy glaze and raincoast crisps. 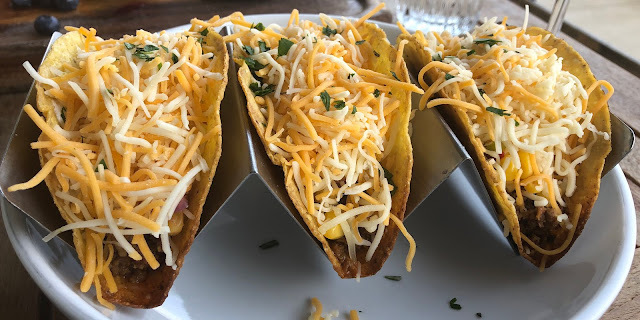 I then ordered the Chorizo Tacos ($10) with with cilantro lime sour cream, corn salsa, and a cheddar jack blend cheese. The baked brie was our favorite, the arancini was good as well, and the tacos had a nice, subtle heat to the chorizo. There was just a bit too much shredded cheese on the tacos, and I wish that I had known they were served on corn tortillas. For me, that's an important piece of information that should be included on the menu. Service was attentive, it's seat yourself, and they offer some good specials and happy hour deals. Plenty of parking since it's in a strip. A nice find in that neck of the woods, and I'll go back! Let's plan a double date here sometime! You had me at tapas... and arancini... and baked brie!